“Is any among you sick? Let him call for the elders of the church; and let them pray over him, anointing him with oil in the name of the Lord; and the prayer of faith shall save him that is sick, and the Lord shall raise him up” (Jas. 5:14, 15). The sick are still among us. And virtually no one questions the fact that the church should have elders today, where qualified men can be found. Should elders, then, in connection with their prayers, be anointing the sick with oil? Though this procedure has not been practiced by churches of Christ in modern times (as a general rule), some are suggesting that it ought to be a part of our ritual. How should this matter be viewed? First, it ought to be noted that this reference to “anointing with oil” (Jas. 5:14) is extremely abbreviated. Nothing is specifically stated in the context as to the design of the practice. Second, there are no contextual indications that this anointing with oil had any sort of spiritual basis that would make it universally applicable or perpetually obligatory. If this was to be a requirement for the universal church for all time, it would seem to be a reasonable expectation that some foundation for the practice might have been supplied. 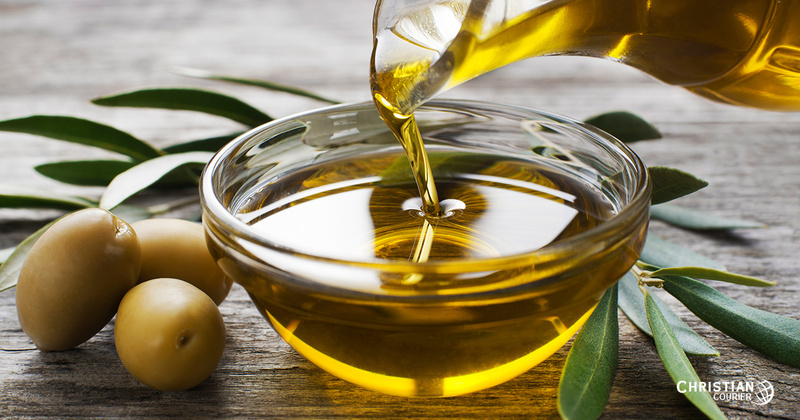 What Does “Anointing With Oil” Mean? Commentators are sharply divided as to the meaning of the passage. Certainly any view of this text which comes into conflict with other clear biblical information must be rejected. Some suggest that oil was employed as a daily item of toiletry in ancient times (much like cosmetics are used today). In periods of sickness, or fasting, this casual use of oil was suspended (cf. Ruth 3:3; 2 Sam. 12:20; 14:2; Dan. 10:2, 3; Mic. 6:15; Mt. 6:16, 17). It is argued, therefore, that James may have been exhorting the brethren to accompany their prayers with the “anointing of oil,” i.e., the resumption of their normal activities. The oil would serve as a token of confidence in the power of their petition. While this concept may be possible, it does not readily commend itself to the ordinary expositor. Too, it wouldn’t explain why elders would be called to administer the oil. A number of writers contend that the oil of James 5:14 was merely a medicinal item, which together with the prayer would be providentially efficacious in the healing process. It is true that oil has a medical value for some ailments and that it was employed to this end in ancient times (cf. Is. 1:6; Lk. 10:34). However, oil, as a physical remedy, would be useless in many sicknesses. Moreover, it would appear rather unusual that “elders” would be sought for the administration of physical healing techniques, when there were good doctors available for that purpose (see Col. 4:14). One would hardly be inclined to call for elders today for the diagnosis and treatment of physical difficulties. Some scholars think that the “anointing” referred to by James was simply a refreshing, encouraging act of friendship, much like when Mary anointed Jesus’ feet (Jn. 12:3; cf. Lk. 7:46). It is argued that the Greek word aleipho (“anoint”) has to do with mundane rituals rather than a religious ceremony (yet see Mk. 6:13). In this sense James’ admonition would be a call for the elders’ prayers, accompanied by a cultural amenity of that day, which reflected love and friendship. If such is the case, that primitive culturalism would have no relevance today. Certainly it would not be a binding practice in the modern era. Most likely the use of oil, as reflected in this passage, was a symbolic act. In Bible times the practice of anointing with oil was frequently representative of God’s approval (see 1 Sam. 10:1; Psa. 89:20). Many biblical scholars are fairly confident, therefore, that the application of oil in James 5:14 was a symbolic act invoked in conjunction with supernatural healing. This may be the key verse that sheds light on James 5:14. Additionally, remember that not all Christians in the first century possessed the gift of healing (cf. 1 Cor. 12:28-30). It would be most natural, though, that the elders of local churches would be those who were granted the gift in their respective congregations. Ephesians 4:8-11 clearly indicates that some “pastors” (i.e., elders) were given spiritual gifts. If this view is correct, and in this writer’s judgment it is the most feasible, then the act of anointing with oil would not be appropriate today for the simple reason that miraculous gifts are not available to the church in this age (1 Cor. 13:8ff). What About Anointing Oil Today? Why, then, are a few today anxious to implement the anointing of oil into modern church practice? It could be that some are very sincere, wanting to do the Lord’s will, yet misunderstanding the nature of this passage. On the other hand, it may be the case that a few folks in the church today are simply looking for a new experience of some sort. Having grown tired of what they perceive as “traditional” service to God, they seek the novel. May we strive to approach the Scriptures in a respectful yet sensible manner.